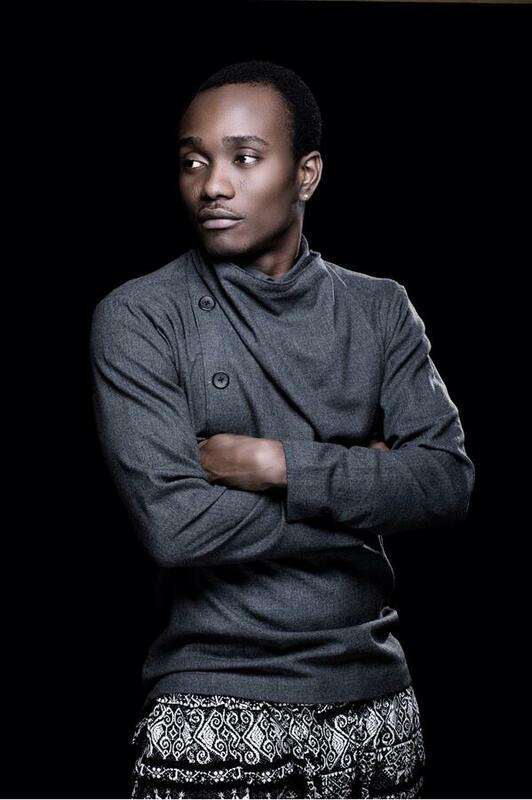 This in layman's terms means Brymo cannot or shouldnt not be working under any orgamnisation or in any capacity as an artist till 2016 because he had signed that right to choc city when he signed with them. 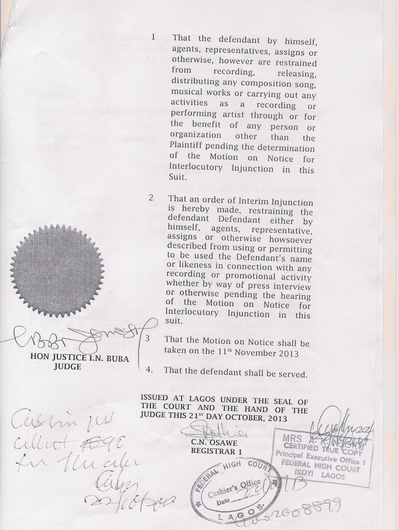 Audu Maikori has been calling and threatening everyone who wants to work with me, the injustice will not cease..
M,D&S on the streets today, pls ensure to grab a copy.. Your patronage is greatly appreciated!! 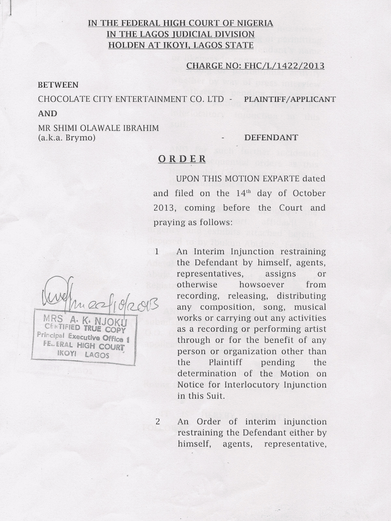 If an artiste refuses to honor his/her contract, it's the duty of the label to sue.. I cannot sue you for breaching your own contract.. 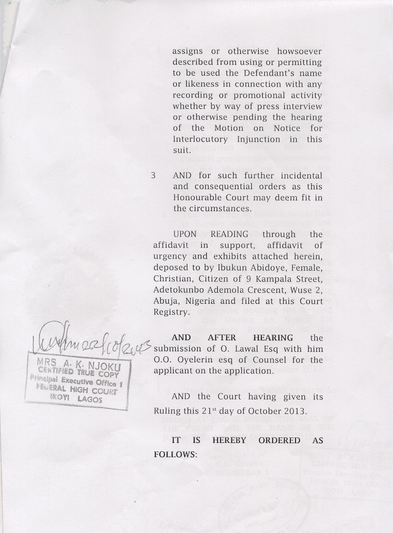 Meanwhile Brymo's album hit the streets today see copies of the Injunction below..
Brymo three options I think you have now get a lawyer and match up to them there could be a loophole or clause that could get you off that a lawyer can spot(which I doubt because Audu is actually a lawyer as well) or head to choc city and sort it all out once and for all or just simply Ignore them which I doubt you can do since legal stuff is involved So I guess the first two options are the available options please do so and save you career in time.